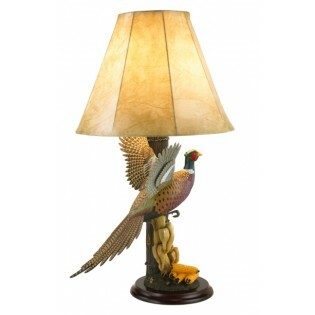 Our flying pheasant table lamp is a perfect accent for your home or cabin. Designed and created from a Sam Nottleman original woodcarving. 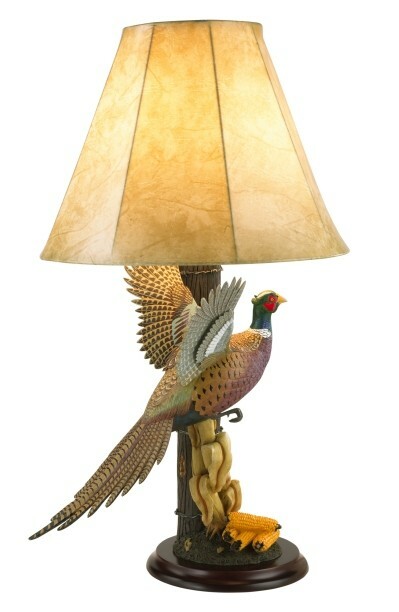 This lamp is hand crafted with the utmost attention to capturing every detail of the original composition.